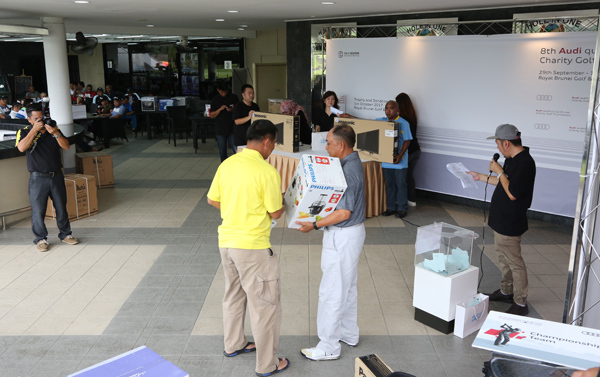 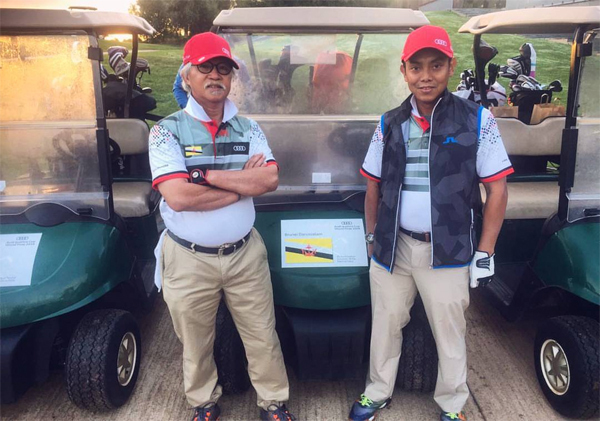 The 22nd Baiduri Masters charity golf tournament concluded with a prize presentation at the Indah Hall, Royal Brunei Recreation Club and was attended by Yang Amat Mulia Pengiran Muda Dr Abdul Fattaah Ibni Duli Yang Teramat Mulia Paduka Seri Pengiran Perdana Wazir Sahibul Himmah Wal-Waqar Pengiran Muda Mohamed Bolkiah, a member of the Board of Directors at Baiduri Bank. 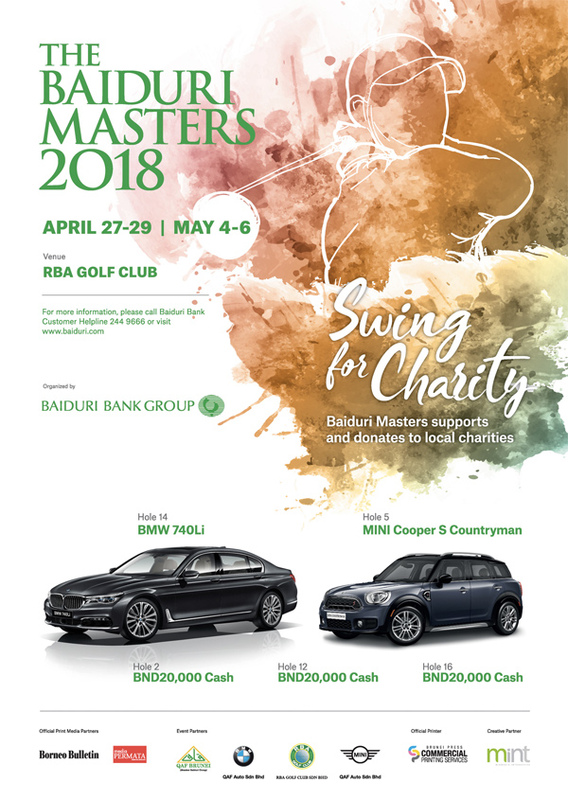 From the Baiduri Masters charity golf tournament proceeds, B$65,000 was donated to five charity organisations during the prize presentation ceremony. 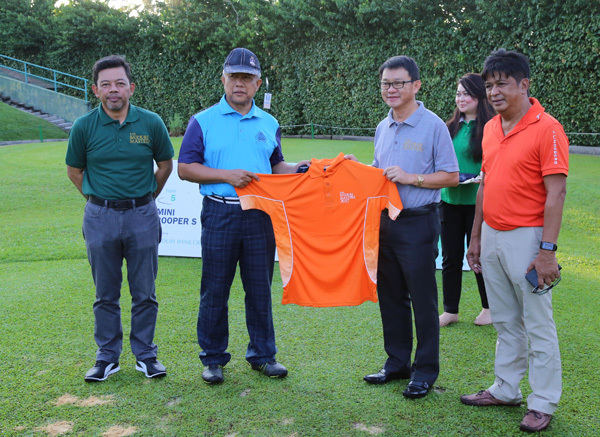 The first cheque was presented to Pusat Ehsan Al-Ameerah Al-Hajjah Maryam was received by Hj Ahmad bin Hj Abd Rahman, Policy and Planning Trustee of Pusat Ehsan Al-Ameerah Al-Hajjah Maryam. 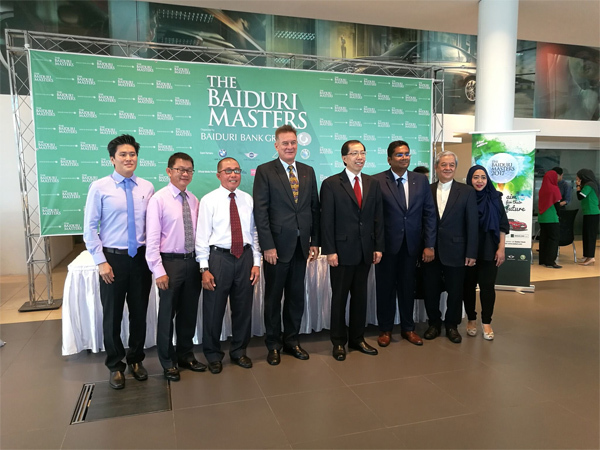 This was followed by the second cheque for SMARTER Brunei and was received by Malai Hj Abdullah Malai Hj Othman, President of SMARTER Brunei. 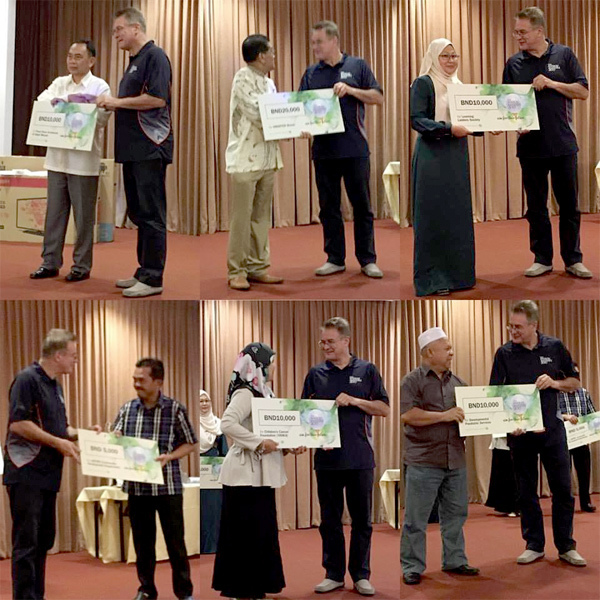 The Learning Ladders Society was presented with a cheque and was received by Dr Nornasibah binti Hj Abd Samad. 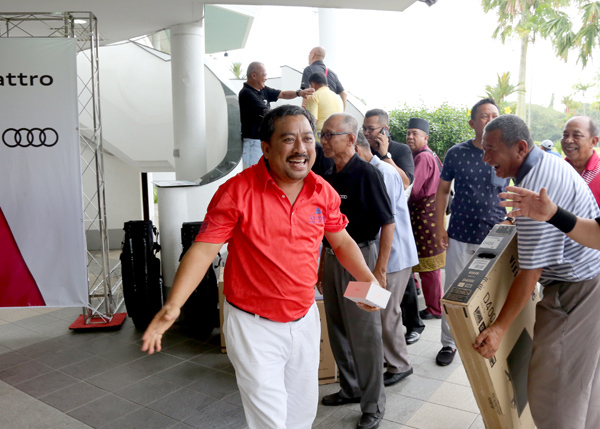 The next charity organisation to receive their cheque was the Developmental Paediatric Services and was received by Hj Amin bin Hj Ibrahim. 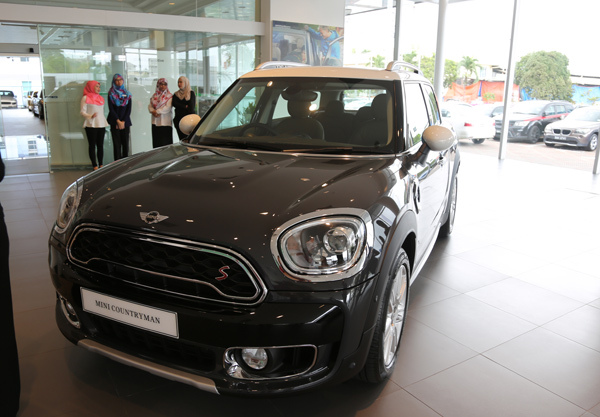 A cheque was also presented to YASKA and was received by Siti Zaleha binti Abdi Manaf. 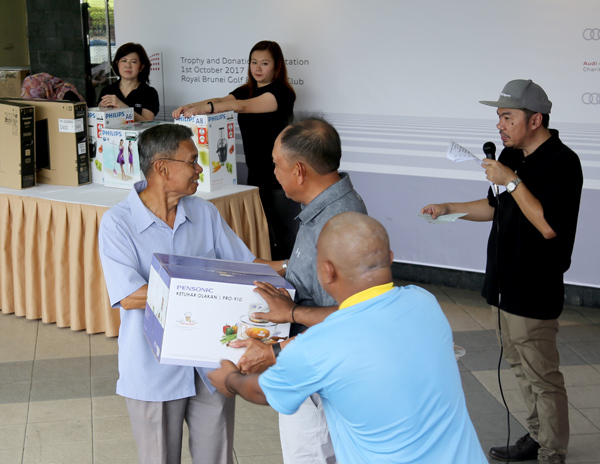 A cheque was also presented to the Community Development Department, JAPEM. 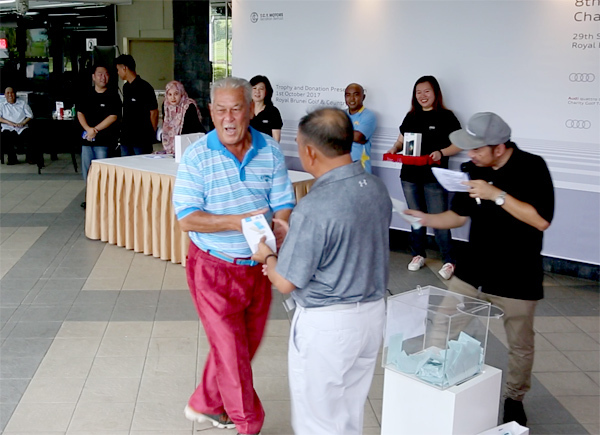 The cheque was received by Hj Rosmadee Hj Mohd Daud. 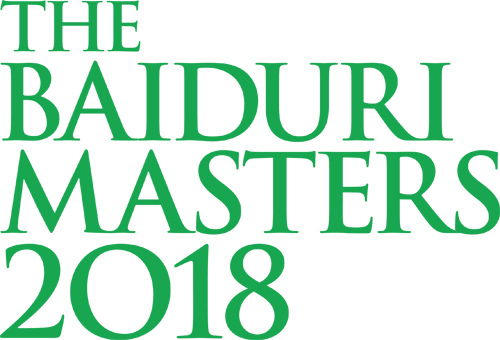 Shortly after, the presentation of the coveted Green Jacket by Mr Andrew Young, President of the Baiduri Masters Organising Committee to the 22nd Baiduri Masters Champion. 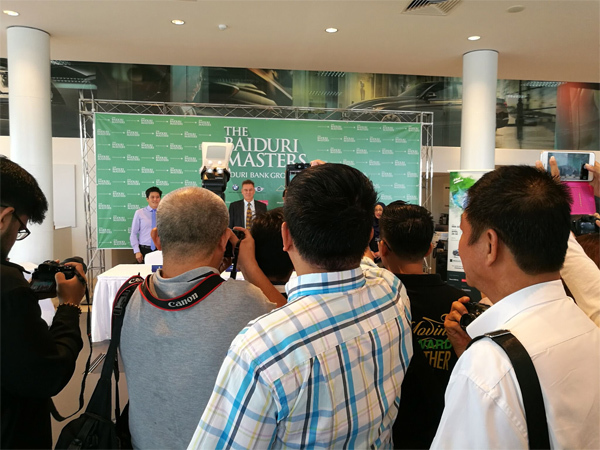 This was followed by the official announcement of the 22nd Baiduri Masters champion. 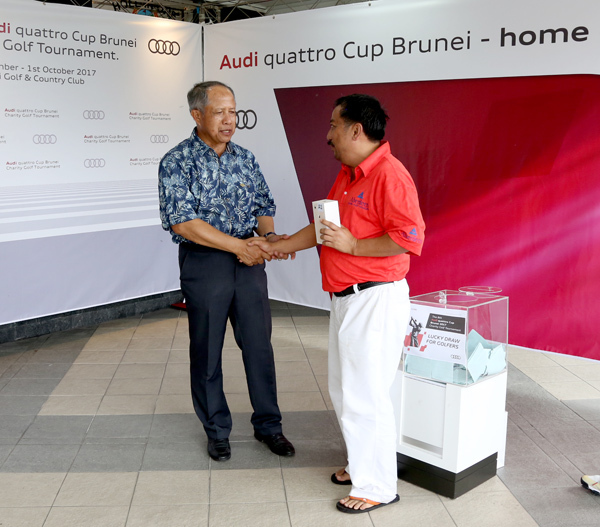 Presenting the Challenge Trophy to the champion, Qawim Hj Aslimon was Yang Amat Mulia Pengiran Muda Dr Abdul Fattaah, the Guest of Honour of the event. 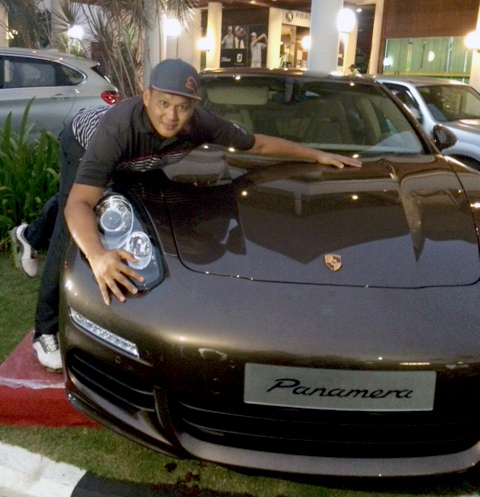 Qawim Hj Aslimon was also awarded a cash prize of B$1,500. 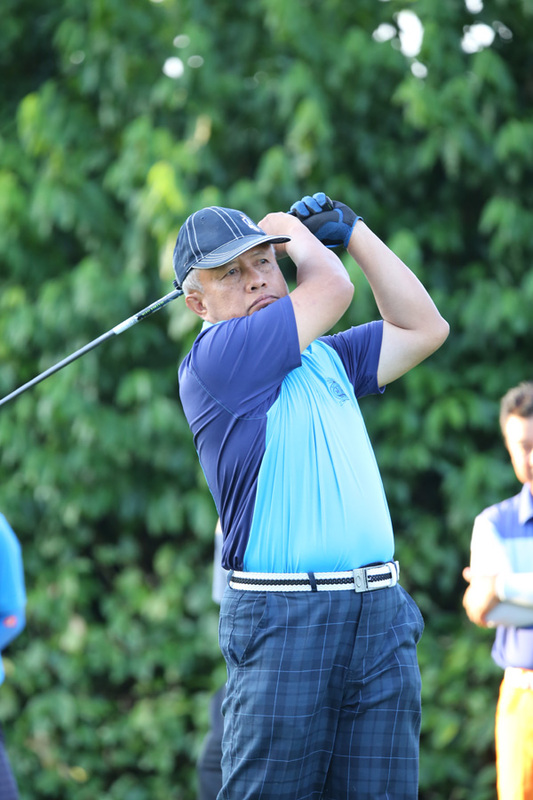 He is a first-time champion and concluded the tournament with a gross score of 75. 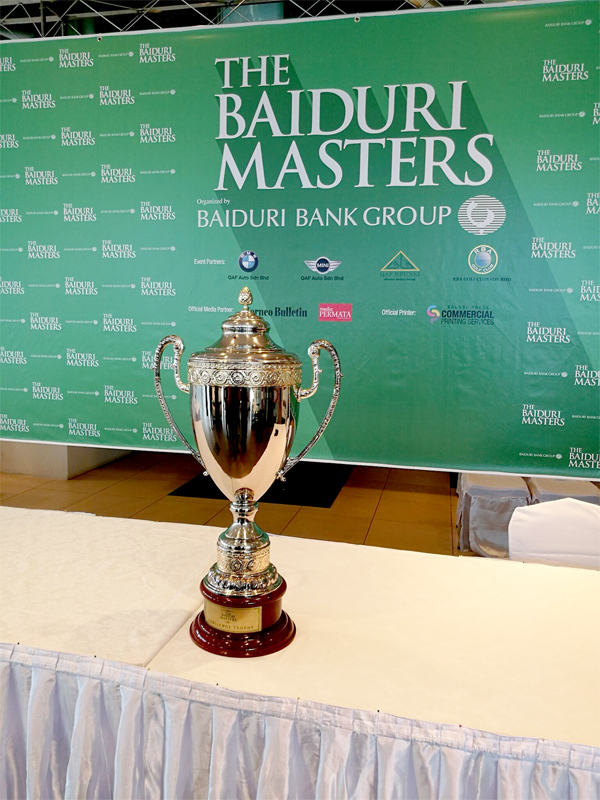 A first for the Baiduri Masters Charity Golf Tournament is the introduction of the Ladies Gross Champion, Vanessa Boumba Marie. 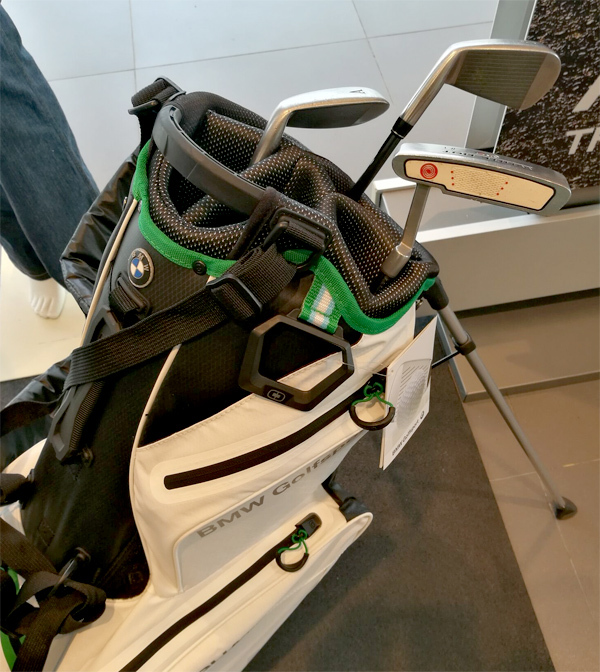 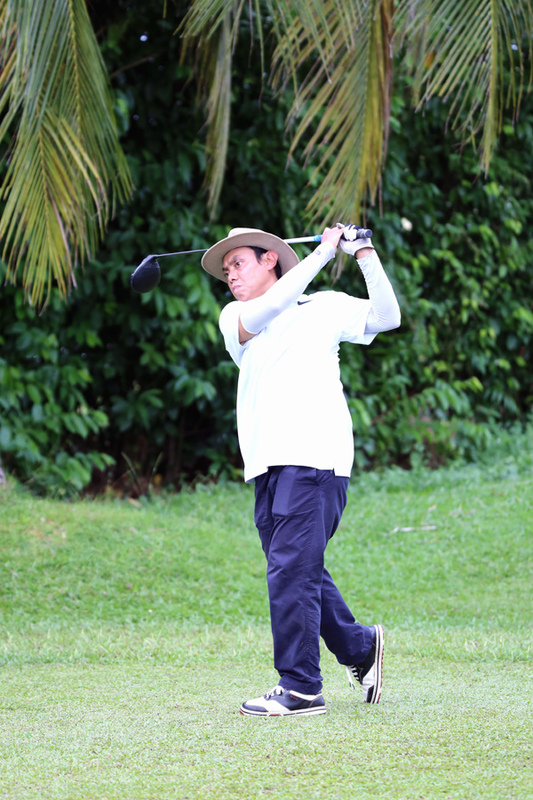 She concluded the tournament with a gross score of 77 and a cash prize of B$500. 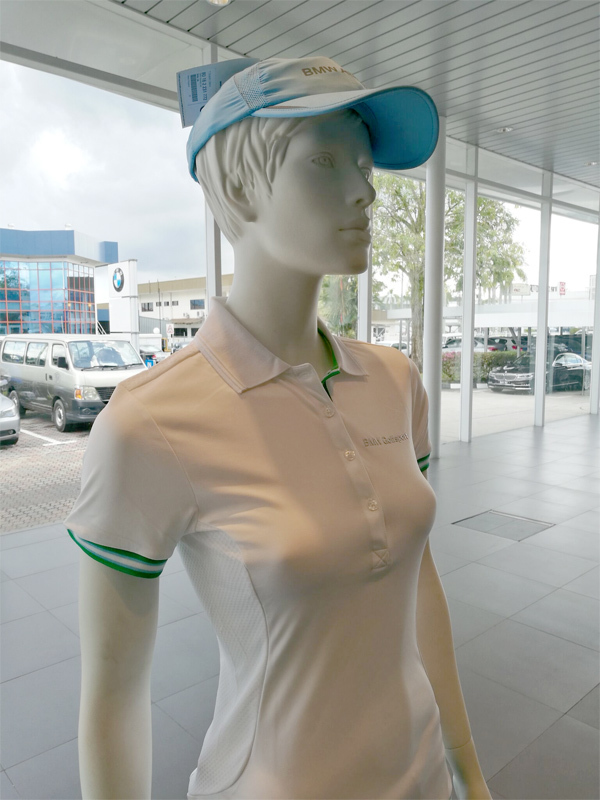 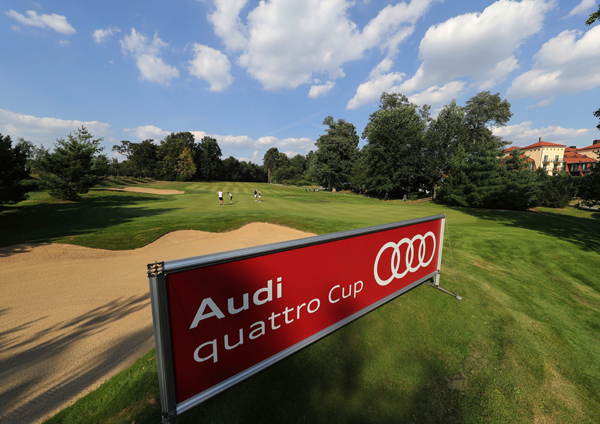 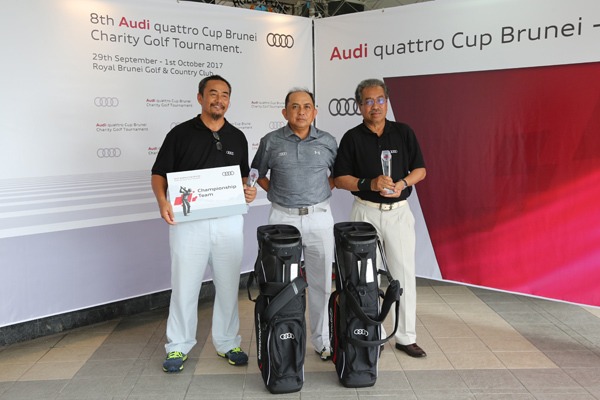 Novelty prizes for the Hole-in-One, Pace Setter, nearest-to-pin, longest drive and lucky draw prizes were also presented. 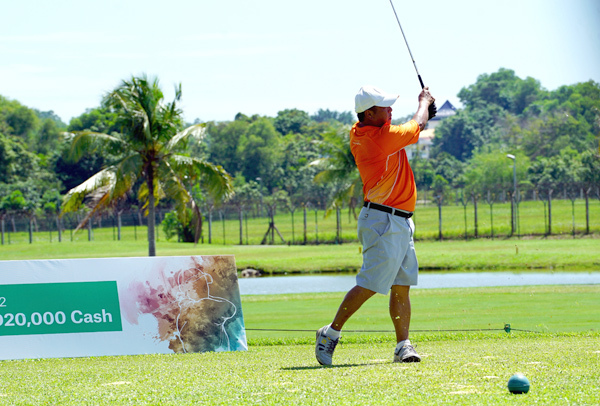 In the Hole-in-One challenge, Dato Paduka Hj Suhaimi bin Hj Gafar walked away with a cheque of B$20,000. 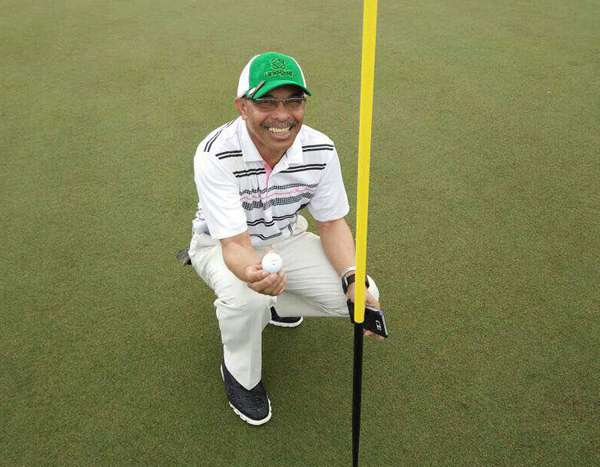 DP Hj Suhaimi aced hole 12 on Friday, 5 May 2017 around 5pm. 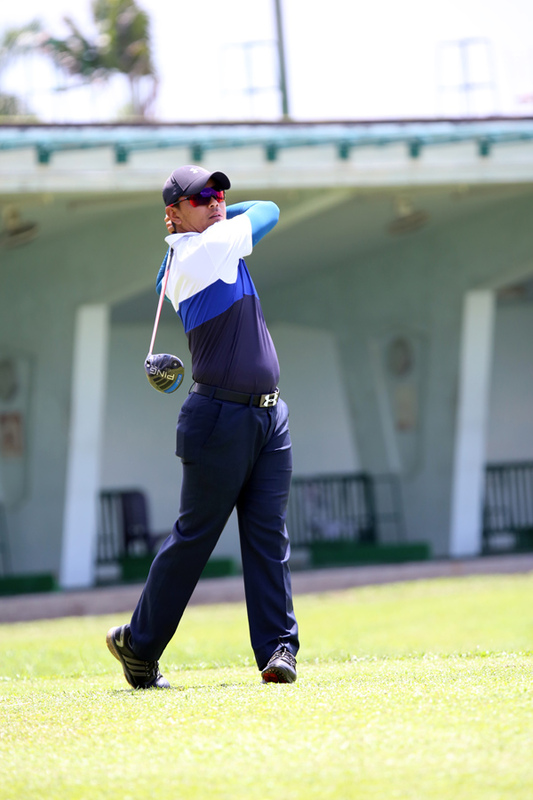 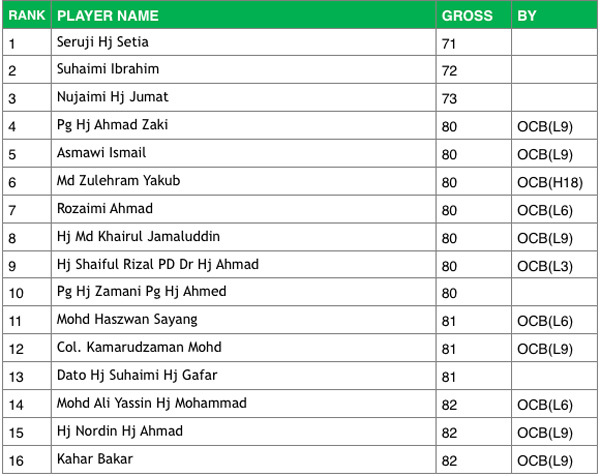 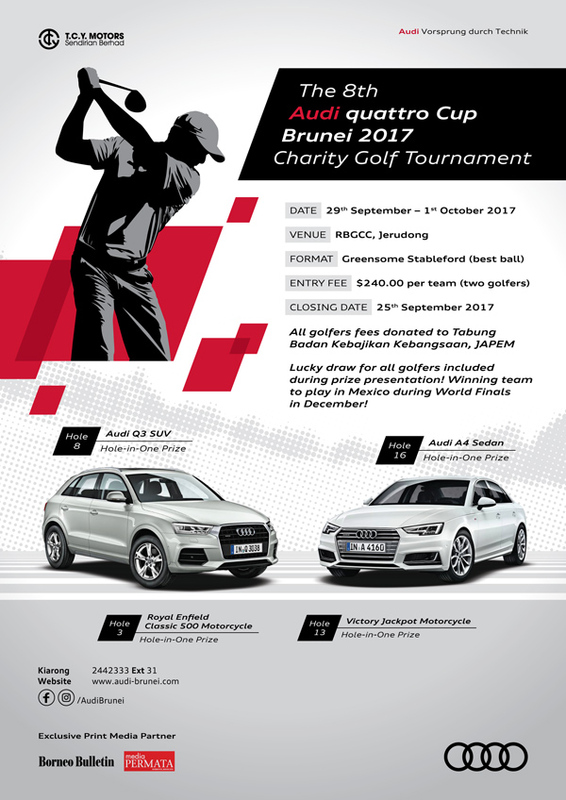 DP Hj Suhaimi would be the second ever golfer to walk away with the cash prize of $20,000 with Kahar Bakar being the first 2 years ago. 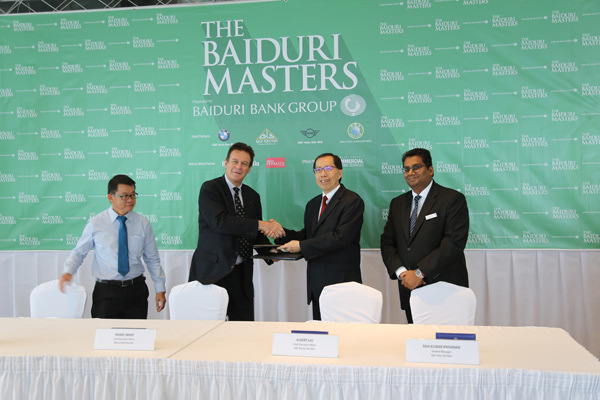 The cheque of $20,000 was presented by Mr Pierre Imhof. 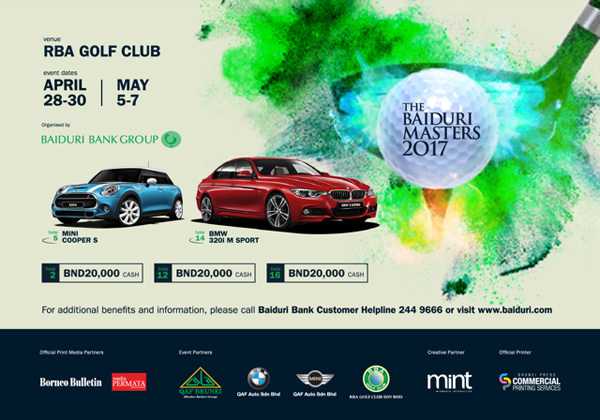 In the Pace Setter Challenges for both Fridays, 28 April and 5 May 2017, Nujaimi Hj Jumat and Suhaimi Hj Ibrahim walked away with cash prizes of $200 each. 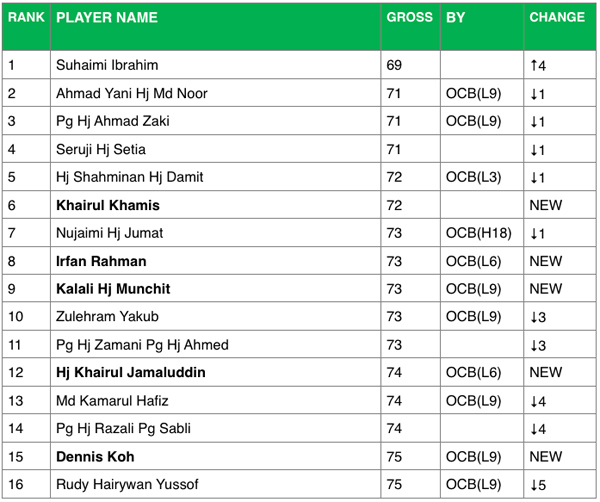 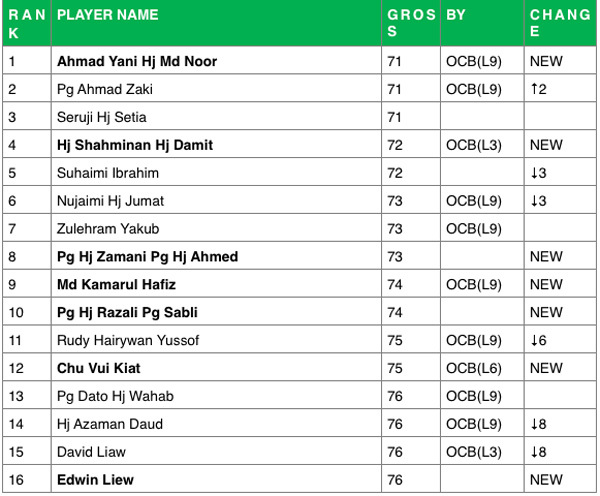 Nujaimi ended his round with a nett score of 69 while Suhaimi ended his round with a nett score of 67. 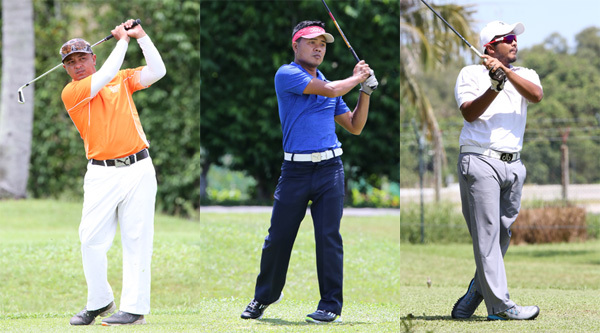 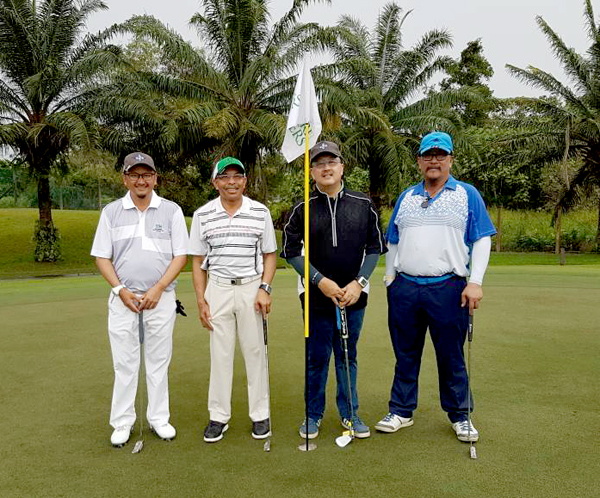 In the nearest-to-pin category, for Hole 2, Hj Shaiul Rizal PD Hj Ahmad’s ball landed 39cm from the pin; Hole 5, Daniel Giam’s ball landed 46cm from the pin; Hole 12, Chu Vui Kiat’s ball landed 35cm from the pin; Hole 14, Hj Jafar Latif with a distance of 60cm from the pin; and Hole 16, Qawim Aslimon, just 1.45m from the pin. 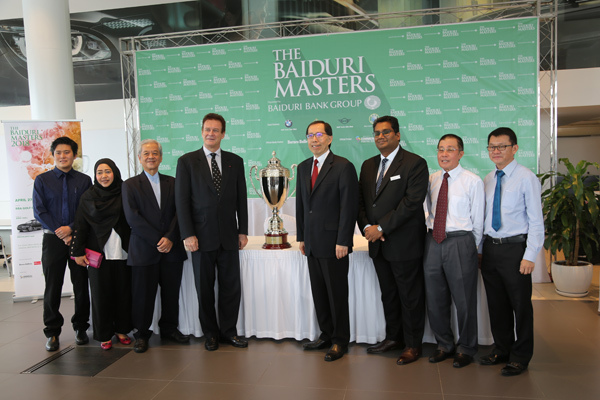 Also in attendance at the prize presentation dinner were cabinet ministers, members of foreign diplomatic missions, sponsors, golfers and senior officials of the Baiduri Bank Group. 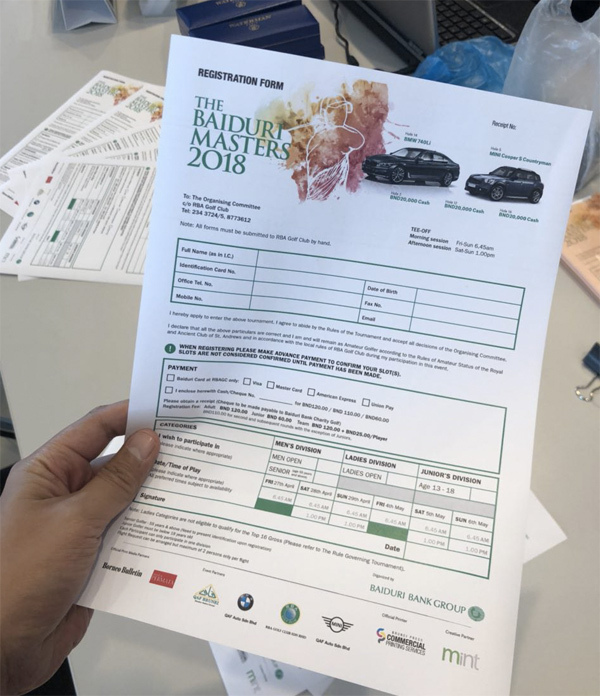 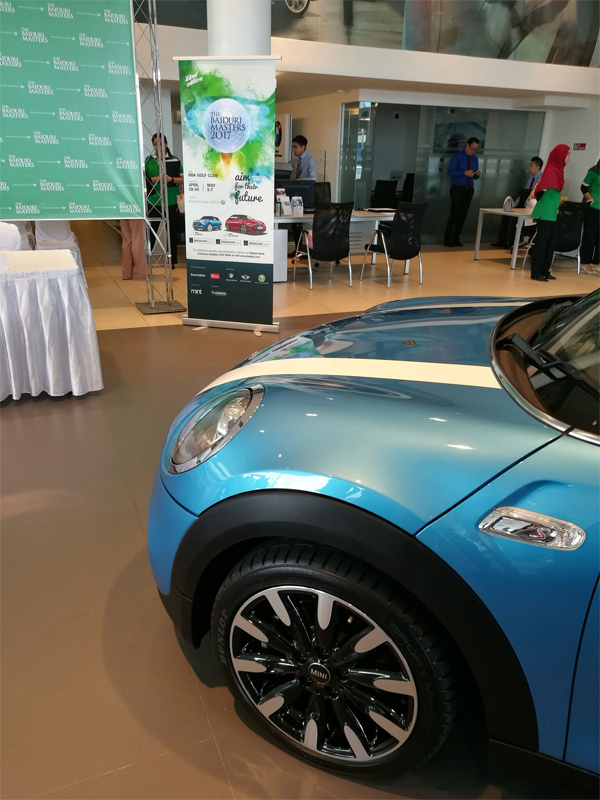 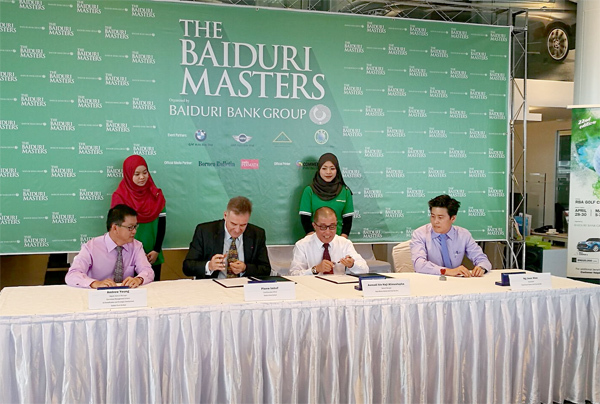 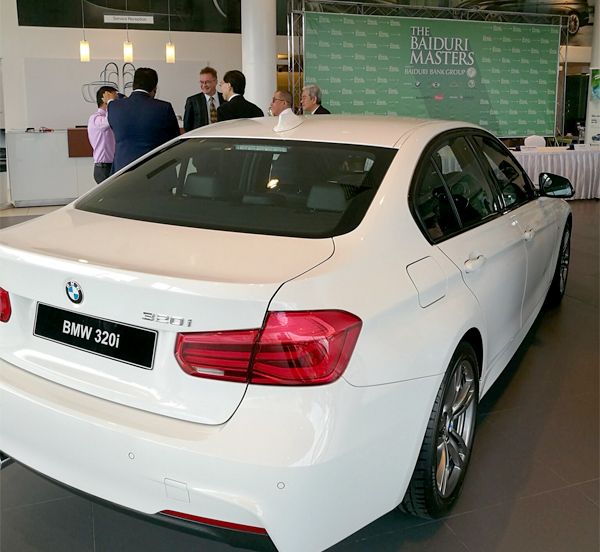 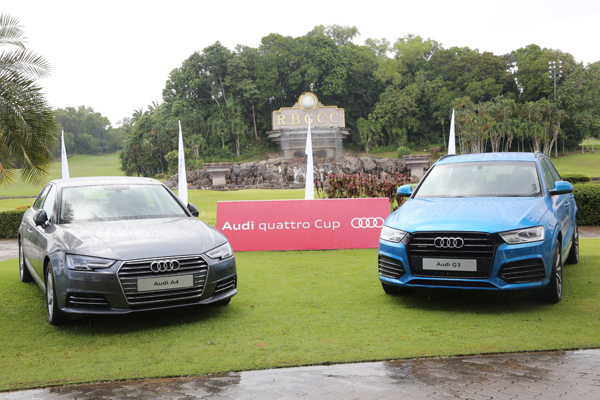 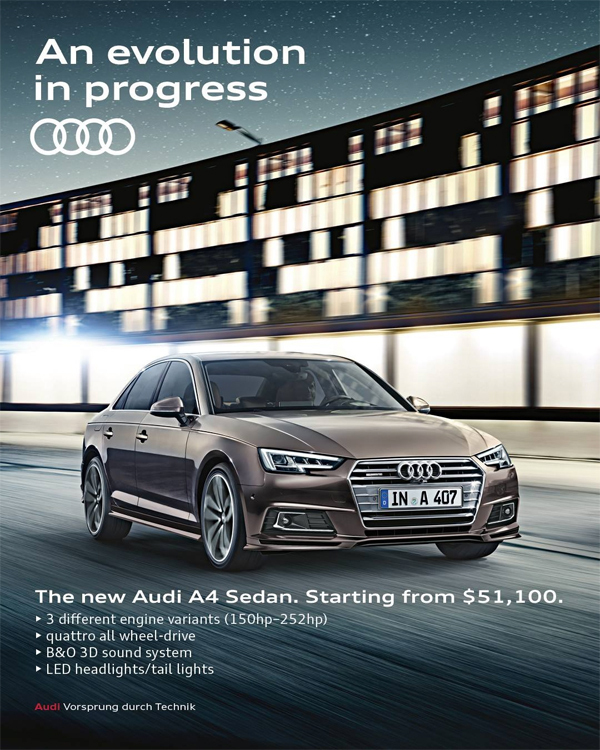 The Baiduri Masters is organised by Baiduri Bank Group with the support of event partners QAF Brunei, QAF Auto Sdn Bhd, Brunei Press Sdn Bhd and RBA Golf Club Sdn Bhd.